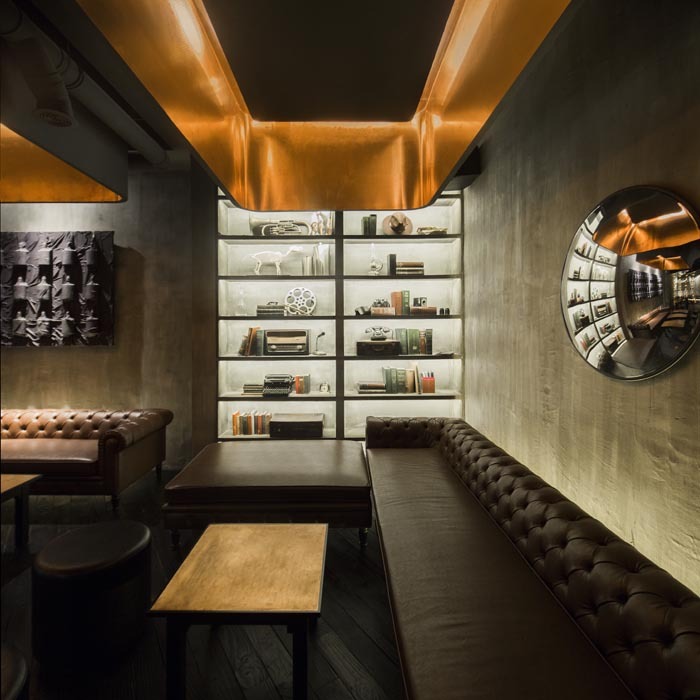 Designer Alberto Caiola has created “Flask and The Press,” a wonderfully modern combination of a cheery and colorful diner in Shanghai, China with a speakeasy entrance cleverly hidden within a vintage Coca-Cola machine that leads to a warm, welcoming bar with clean lines and muted tones dedicated to the art of the cocktail. 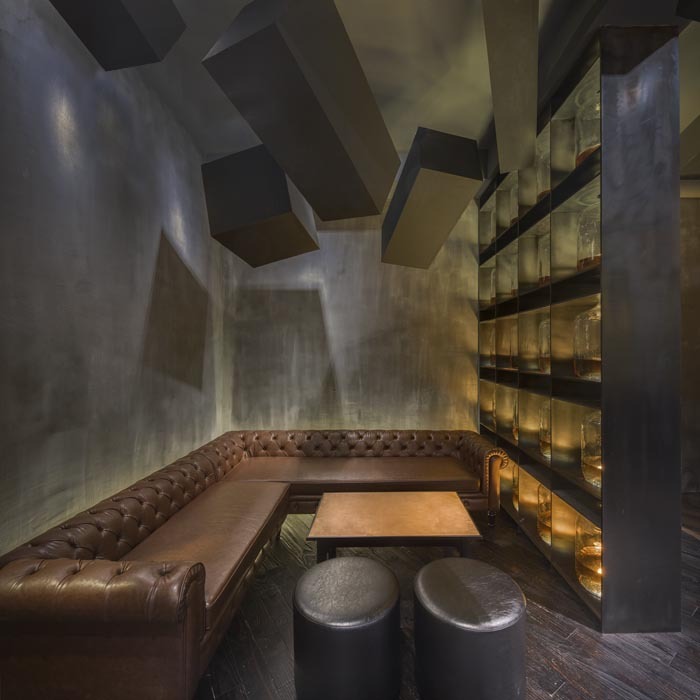 Flask and The Press is an unconventional duo that upends the traditional speakeasy concept: an intimate contemporary lounge concealed behind the facade of a cheery, sandwich shop. Together, they’re a juxtaposition of light and dark, elegance and funkyness, personal and playful. 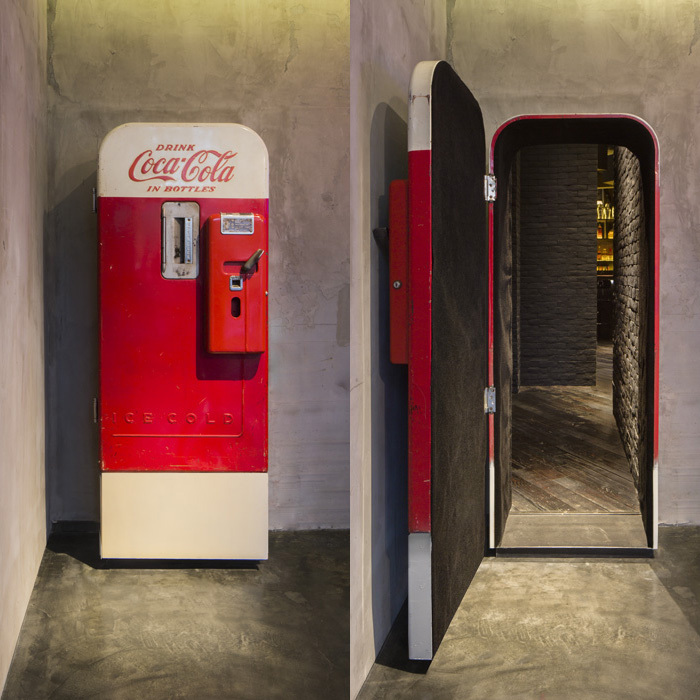 …The centrepiece of the room is a vintage Coca-Cola vending machine, which is split vertically to swing open and reveal the entrance to Flask. 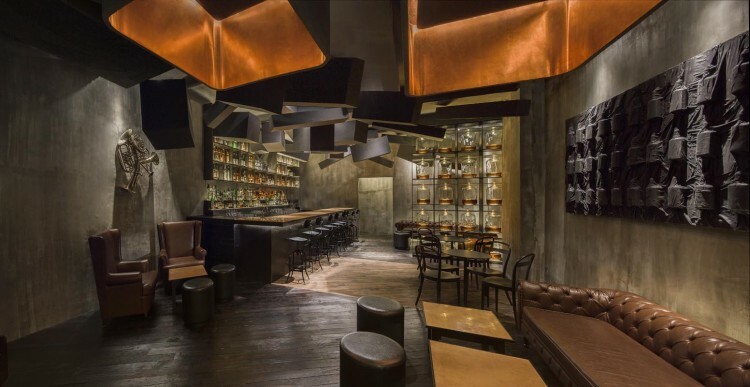 Stepping into the tunnel between The Press and Flask, the visitor experiences an extreme contrast in environment. 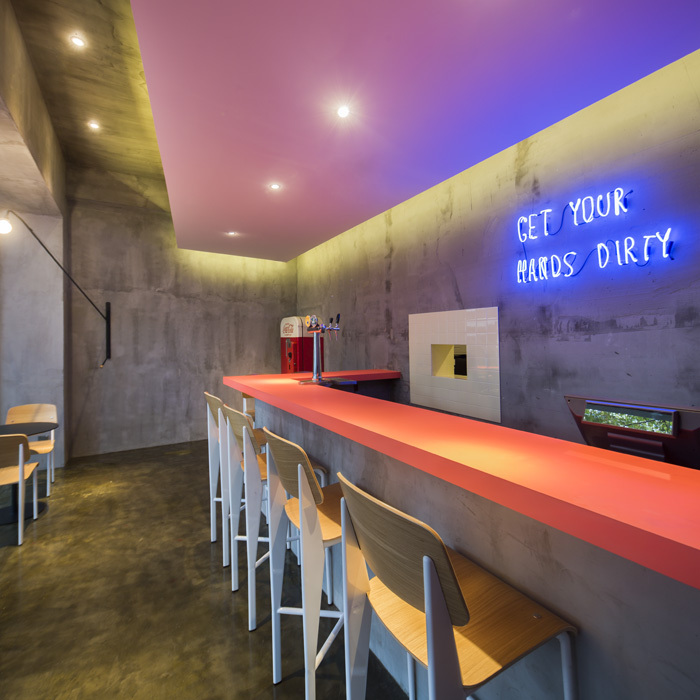 The fun, lighthearted feel, the bright colours and lighting—within a few steps, these elements segue into a mysterious space with warm, muted lighting and the murmurs of bar patrons to invite further curiosity. 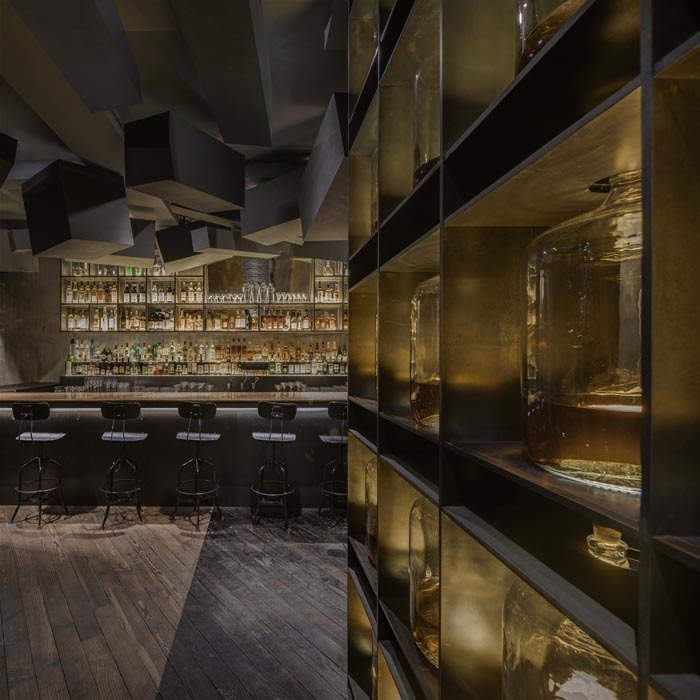 Following the camouflage door, the patron is presented with more visual cues of the traditional speakeasy: elaborate displays of bottles of liquor, a blend of dark and dim, plus a motley crew of furniture pieces that hints at the evanescence of these establishments as they were in the past.